“Star Wars: The Force Awakens” has passed “Furious 7” and “Marvel’s The Avengers” to move into the No. 4 spot on the list of top-grossing films at the global box office, Disney said Tuesday. On Monday, it brought in $14.5 million from overseas to lift its international total to $786 million, and $8 million from North America on Monday to up its total domestic haul to $750.2 million, to draw closer to the all-time domestic record of $760.5 million set by “Avatar” in 2009. With Monday’s grosses, the worldwide total for the J.J. Abrams-directed seventh entry in the “Star Wars” franchise is at $1.53 billion, ahead of “The Avengers” ($1.519 billion) and “Furious 7” ($1.515 billion) and behind only the lifetime global hauls of “Jurassic World” ($1.8 billion), “Titanic” ($2.2 billion) and “Avatar” ($2.8 billion). What makes these numbers so impressive for “The Force Awakens” is that it has only been in release for 19 days. 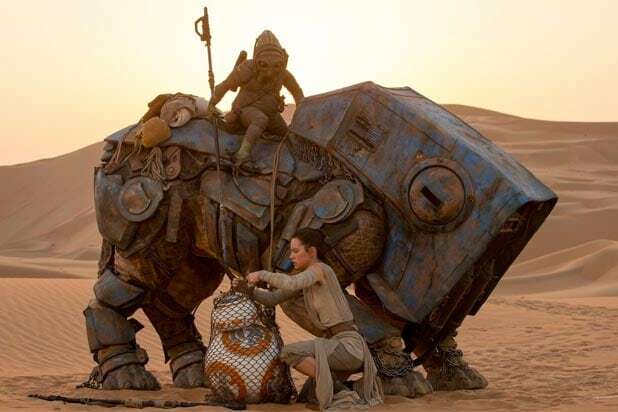 The production budget on “The Force Awakens,” from Abrams’ Bad Robot and Lucasfilm, was $200 million. Bryan Burk and Kathleen Kennedy produced along with Abrams, who shared screenwriting duties with Michael Arndt and Lawrence Kasdan. John Williams composed the score.